As the opioid crisis continues to spread nationwide, it's requiring an all-hands-on-deck effort to turn the tide. Health information technology – electronic health record customizations, predictive analytics algorithms, e-prescribing tools – is proving to be a valuable weapon in the fight. 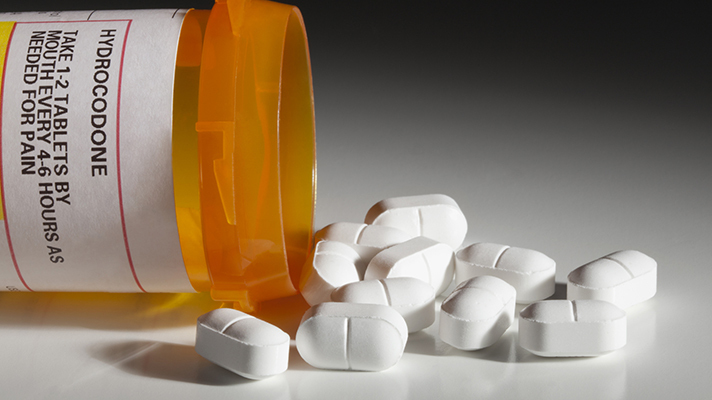 As part of National Health IT Week, a HIMSS Media webinar on Tuesday detailed the efforts of two HIMSS Davies Award-winning providers, Ochsner Health System and Bon Secours Mercy Health to leverage technology to stem opioid addiction in their patients. While both are large health systems, the lessons they've learned in putting data science and EHR optimization to work point to some strategies and best practices for other hospitals facing the same battle: the largest drug epidemic in U.S. history, with opioid overdoses having more than quadrupled over the past 20 years. "We're in the midst of the most challenging public health concern facing healthcare professionals and first responders today," said Jedediah Tuten, director of acute pharmacy operations at Bon Secours Mercy Health. Ohio, where 19 of Mercy's 21 hospitals are based, has been one of the states most affected by the opioid epidemic. (So is Kentucky, where its other two hospitals are located.) It's a huge challenge in Louisiana, too, where Ochsner Health is based. Todd Burstain, MD, Ochsner's chief medical informatics officer, explained on the webinar how the health system has implemented tweaks to its EHR to show prescription data to ED physicians – effecting a big reduction in opioid prescription. It also turned to analytics for several different insights about how prescription patterns, when opioids were called for, could work better. For instance, there was concern among many that fewer pain meds would result in an adverse patient experience – and lower HCAHPS scores. "We we went to the analytics and found no relation between prescribing rates for Opioids and patient satisfaction," said Burstain. "That was key initially to gain the confidence of some of the naysayers and alleviate those fears." Ochsner also customized its Epic system with an opioid risk tool and a morphine equivalent daily dose, or MEDD, calculator to help clinicians better understand the potency of the drugs they're prescribing and their patients' potential for abusing them. Whether in the ED or with discharge order sets, "we wanted to identify patients who did need opioid therapy and what the risk was, and how we could better monitor them," he said. The risk tool questionnaire, without disrupting workflow, helped offer "sensitivity and specificity about who was at risk." At Bon Secours Mercy Health, Tuten explained, the hospitals are constantly honing their opioid strategy as national guidelines and state regulations change, not least when it comes to building new tools into its EHR. Clinical buy-in and engagement is key to the success of those adjusted processes, he said – and so is IT leadership, which is "integral to providing access to controlled substance data at the right time in clinical workflows with minimal effort from staff," and the training for the new workflows and tools that become available. Attention to details that other providers might overlook has served the Mercy Health well, he said – for example the issue of free-text sigs in eRx. Tuten pointed out that about 10 percent of all opioid prescription were written with non-discrete elements of dose, route or frequency, hindering the health system's ability to auto-calculate MEDD or tracked it over time. Mercy Health now requires discrete sigs, with free-text not allowed as of this past month. It required board approval and intensive provider education, but the opportunity for improved visibility into prescribing patterns and better analytics data in general has made the effort worthwhile. Mercy Health's opioid analytics platform enables tracking of prescribing behavior at the "order, provider, department, specialty, market, and enterprise levels," as HIMSS points out in its Davies Award case study. That's one reason the health system has been able to improve its opioid dispensing practices across the enterprise, enabling a 13 percent reduction in total opioid orders; a 22 percent reduction in the rate of opioid orders to all medication orders; a 35 percent reduction in the rate of MEDD > 30 to acute opioid orders; a 14 percent reduction in the rate of MEDD > 80 to opioid orders; and a 23 percent reduction in total morphine equivalents prescribed per patient. Toward similar goals, other hospitals and health systems should take Tuten's advice on joining the tech-enabled fight against opioids. "Buy-in, engagement and education is imperative from the top down, across the multidisciplinary teams in the organization," he said. "Identify a champion, tell your story, use the tools and data available to you, use feedback from frontline staff on the efficacy and efficiency of protocols developed and include them in policy design and implementation. And take full advantage of the efficiency provided by your information technology."